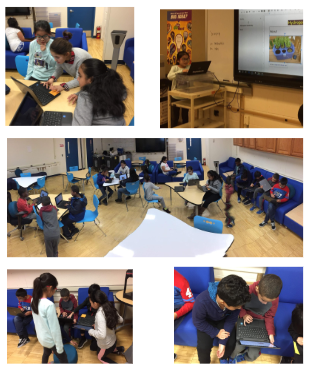 Students from Mr. Dalfonso and Mrs. Babcock’s classes at Meadow Hill GEM School come to the Active Space on Fridays to gain new digital skills and enrichment activities. One project was to create a hyperdoc on their favorite topic. A hyperdoc is an online collection of media and links with a purpose of explaining a topic using a variety of media sources.